Discover Middle Earth when you enjoy Hobbiton Movie Set and farm tours in Matamata and at other popular New Zealand locations this year. We have a range of accommodation options where you can stay with locals and enjoy home-cooked meals. Heading along to Fieldays at Mystery Creek, June 10-13th? Look After Me has a great range of accommodation ranging from $50-$150. We have properties catering for sales reps, business peole and single travellers? We have hand picked a selection of our properties below perfect for Fieldays accommodation. This coming Sunday is ANZAC Day and all around New Zealand, we are commemorating. We surveyed some of our hosts and guests (via Facebook) to find out what they were doing and how they were spending the day. Coined as the 21st Century’s ‘Collaboration Revolution’, global indicators point towards the rapid rise of the Sharing Economy. This translates to both opportunities and warnings for New Zealand. Julia Charity investigates. TV Rotorua City News talks to Dr Julia Charity, about NZ's fastest growing Homestay network. 'Look After Me Ltd' - NZ's Homestay Network, has gained global exposure via reality television programmes that were aired in China and Korea. The Chinese version of the show, 'Daddy, where are we Going' was filmed in Rotorua and at Hobbiton. The show was watched by an estimated 404 million viewers live and 1.4 billion via global satellite. Published in NZBusiness Magazine: With strengthening relations between China and New Zealand and evidence for strong economic benefit – we take a clo ser look at the NZ-China Free-Trade Agreement, the rise of service industries and their possible economic impact. Julia Charity investigates. Published in NZBusiness Magazine: From humble beginnings, Rotorua business ‘Look After Me’, has grown to become New Zealand’s largest, fastest growing Homestay Network. Don't you just love a great event?! We support most major events around NZ. 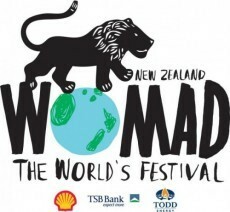 Coming soon are Raggamuffin, Art Deco, WOMAD, Bike Fest and Balloons over Waikato. Why not stay with friendly Look After Me hosts? They're mostly kiwis just like you. We match you with people who 'get you' and love what you're into to. Hey...they may even be going to the same event! O ne of the below-the-radar categories for tourism across New Zealand is the Bed and Breakfast and Home stay market, which tourism experts suggest could account for significantly more than the officially monitored visitor bed nights. And new online apps and sites are allowing increasing numbers to access private household accommodation.